Discussion in 'XJ DIY How-To Instructions' started by bigfitz52, Feb 7, 2009. 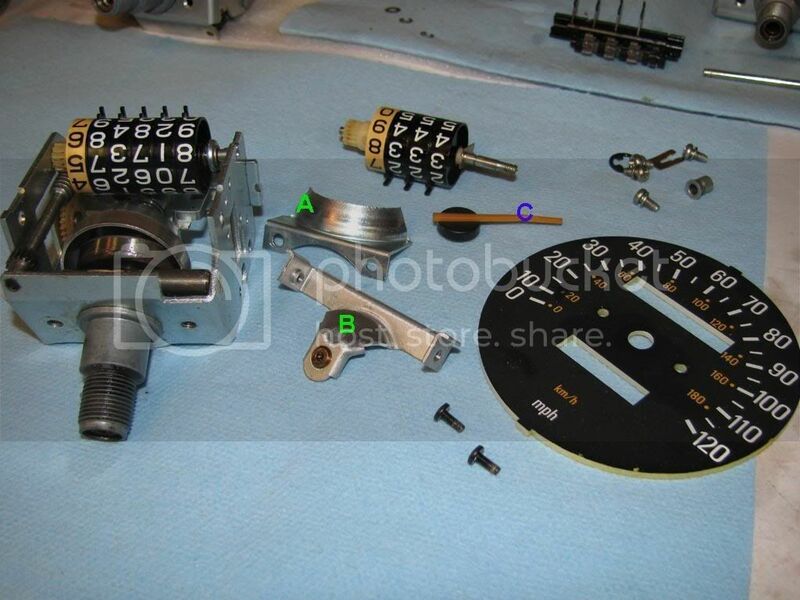 The purpose of this post is to acquaint you with exactly what's inside the typical Yamaha mechanical speedometer and tachometer. I am NOT advocating tearing your instruments this far apart. 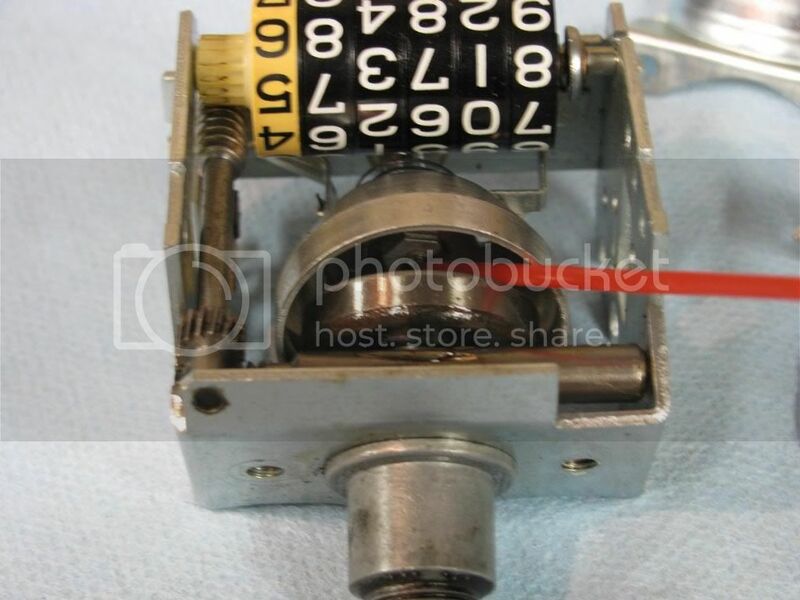 The speedo that got completely disassembled was in pretty sorry shape, it came from a "canned" unit off a '79 XS. The bike had been down at some point, the back of the speedo frame was tweaked and the input bearing was pointing a few degrees off center. I chucked it in my vise and whopped it with a non-marring hammer and it straightened out pretty well. 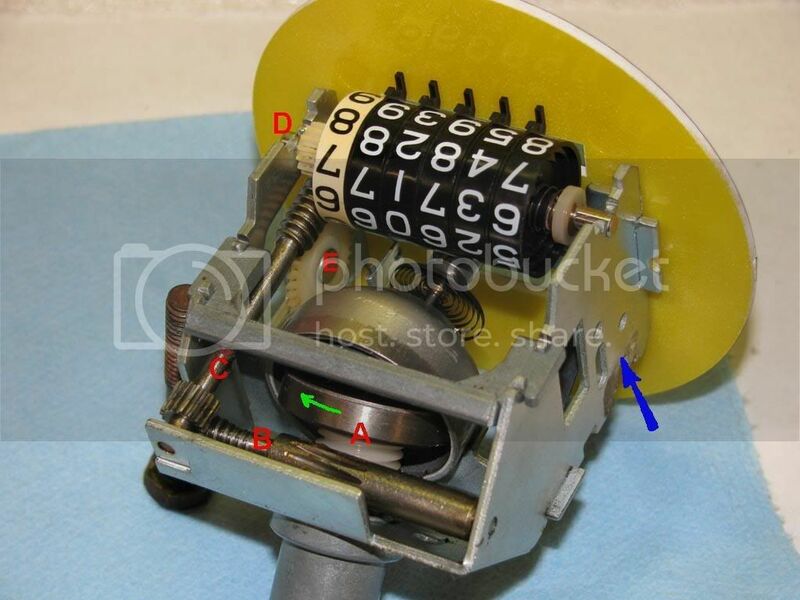 How they work: Cable attached at "A" turns input shaft, which has magnetic head "B." 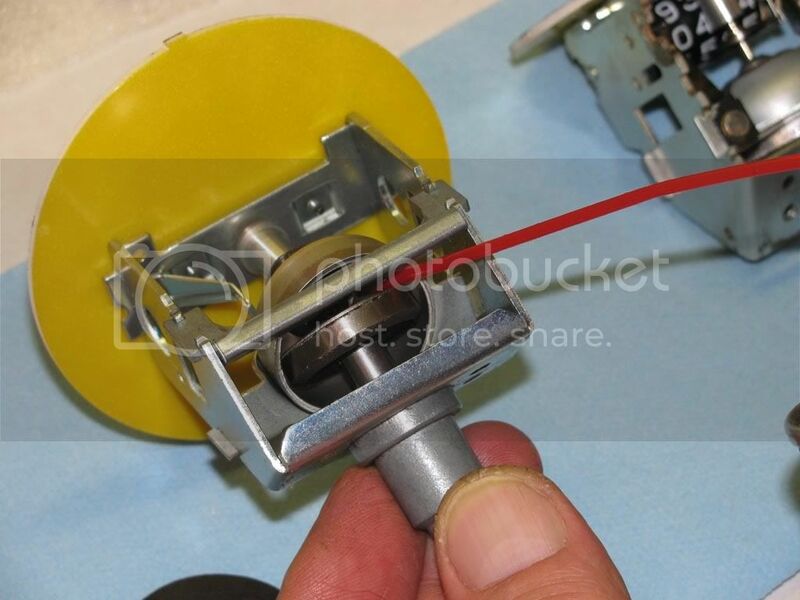 The spinning magnet "carries" the needle shaft cup along for a ride, winding the needle return spring "D" as it moves the needle "E."
So let's take one APART! On most of the newer units that you'll find in the XJs and FJs parts "A" and "B" are swedged in place and can't be removed. I took this one apart so we could see what's inside where you normally can't see. It helps with the lubrication if you know what you're doing "blind." Needle "C" is pressed on a knurl on all of them that I've taken apart. I try to avoid removing the needle whenever possible. 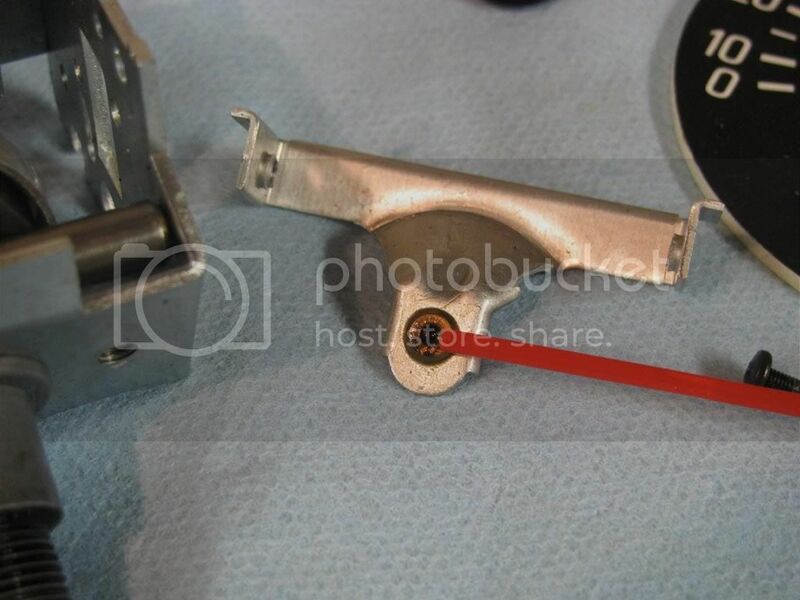 The critical part you REALLY can't see: The needle shaft "cup" rides on a pointed spindle in the bell of the cup; it's supported by a bushing and the support "bridge" will be swedged in place on most newer instruments. 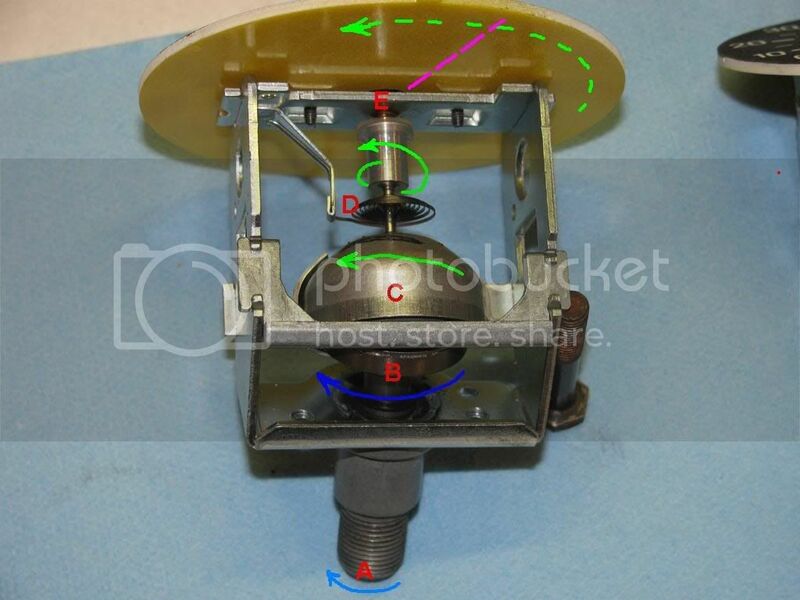 The other part you normally can't see: The support bearing for the cup spindle. See how gummy it is? 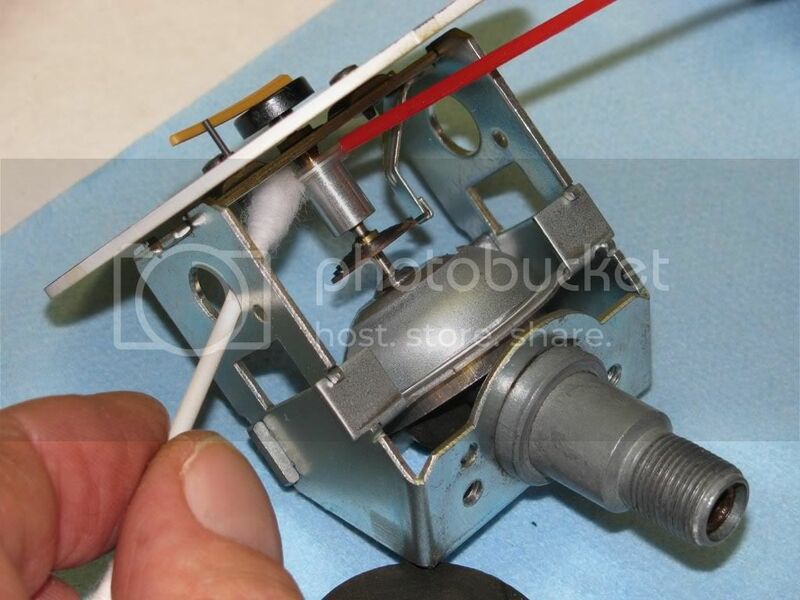 The needle shaft knurl: If you DO pull the needle, I recommend a 3-molecule microdroplet of adhesive on reassembly. WHAT YOU CAN DO: CLEAN and lubricate. For cleaning, mineral spirits or paint thinner and q-tips; lots of q-tips. And here: Lube goes between the inner and outer parts. The hole is just for the cable and is blind. TRYING to lube the blasted spindle and support bearing is the challenge; you have to feel for the spot with the tip of the straw. 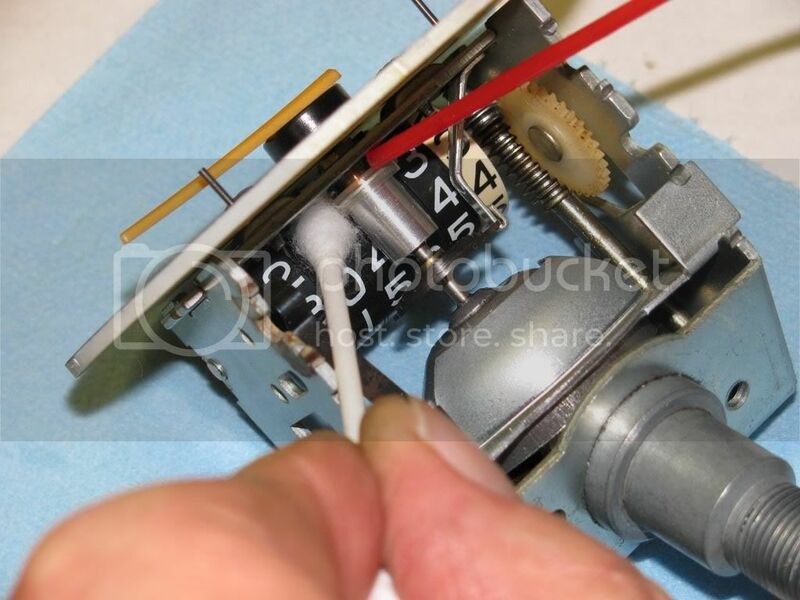 Cleaning and LUBRICATING both tach and speedo can resurrect a failing or sluggish instrument. Put a DAB of silicone grease (JUST a dab) on the various gears, reassemble and test. Hopefully, knowing what's inside there will help you save a speedo or tach. Bigfitz, you all ways come up with the best looking pics. Nice job. If anybody has any questions about speedo or tach. They have a step by step look before they tear it apart. Very nice, my friend! Thanks for putting this together for the XJ community. Another awesome guide Fitz! Thanx! Bumping this thread, as I'm finding it timely due to my own howling speedo. Looks like there's a wee bit more to lubing the thing than first meets the eye. I've taken the liberty of making a PDF file out of the post; I'll be sticking it online probably tomorrow sometime. And yes, Fitz, you're listed as the author. Okay, here it is. Could have made it smaller than I did, but I liked the detail so much I kept the pictures big. Schmuck, you are indeed an artiste. Very nice work, thank you. is there a quick and dirty way of doing this? 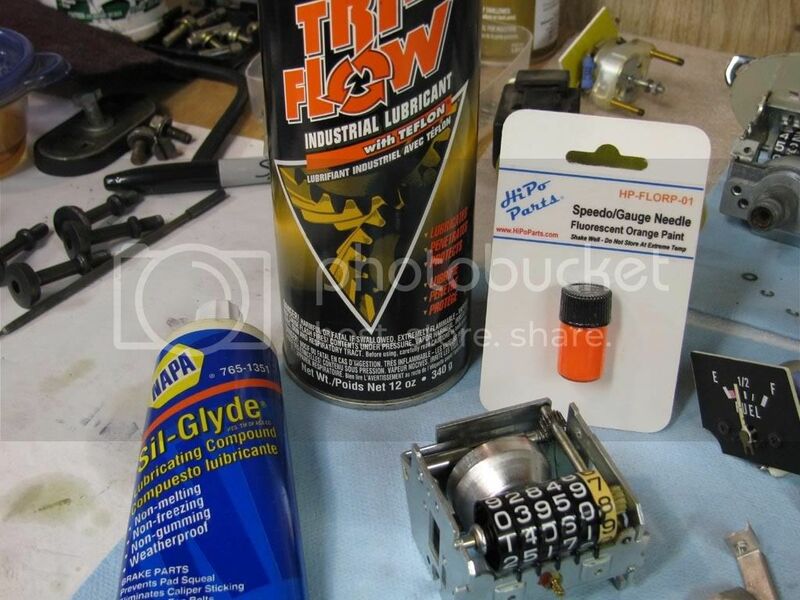 Lube it without taking apart everything? 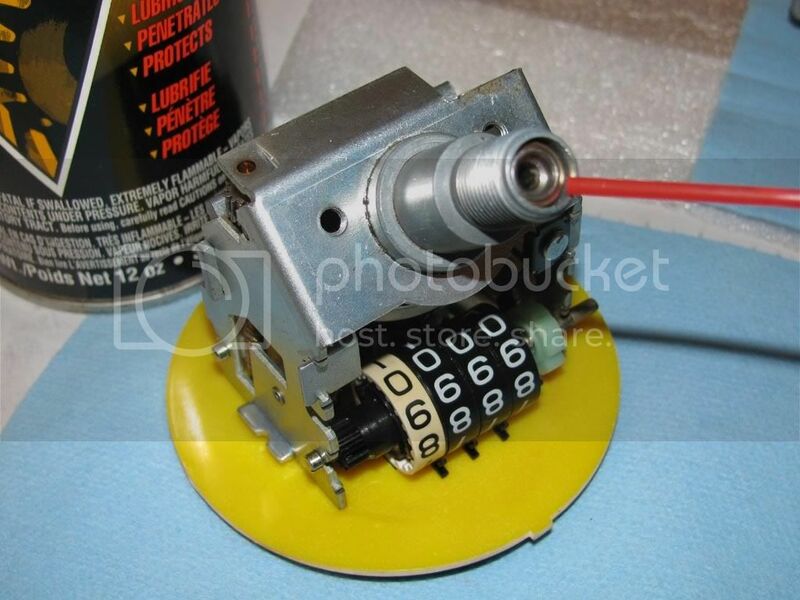 Others have suggested removing the speedo cable and shooting lubricant up where the cable connects into the speedo itself -- and I did try this myself first -- but there's no guarantee that will fix the problem. If it doesn't, then you're left with little choice but to pull it apart. 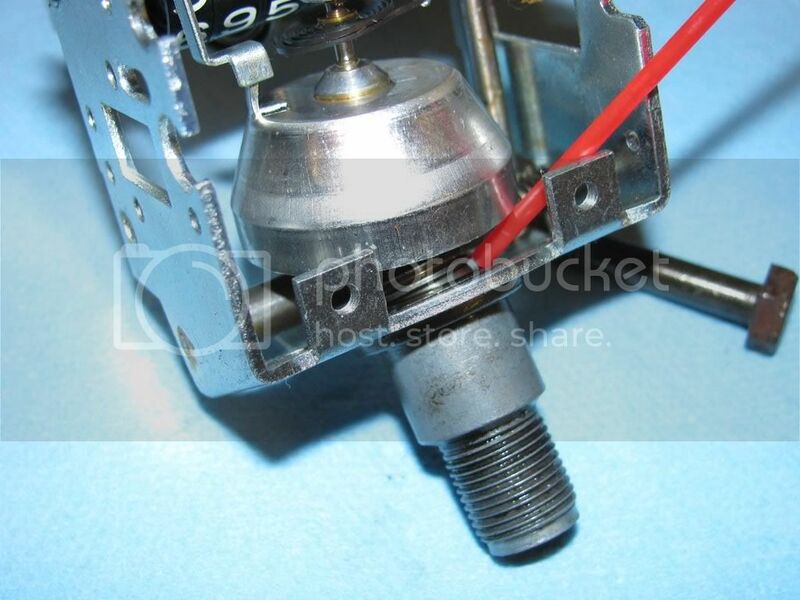 It's reverse threaded; you unscrew it by turning it clockwise. You may need to slip the tip of a pair of needle nose pliers in and hold the other end if it's reluctant. Will have to fix, thanks. Hey, glad I could help. When the cluster is apart, is there anything in particular that I am looking for. My tach is jumpy, and my speedo was making an awful whining noise. I took it apart and did the ole clean and lube, but now my tach is still jumpy and the speedo no longer whines (it just doesn't work). the cables are fine. 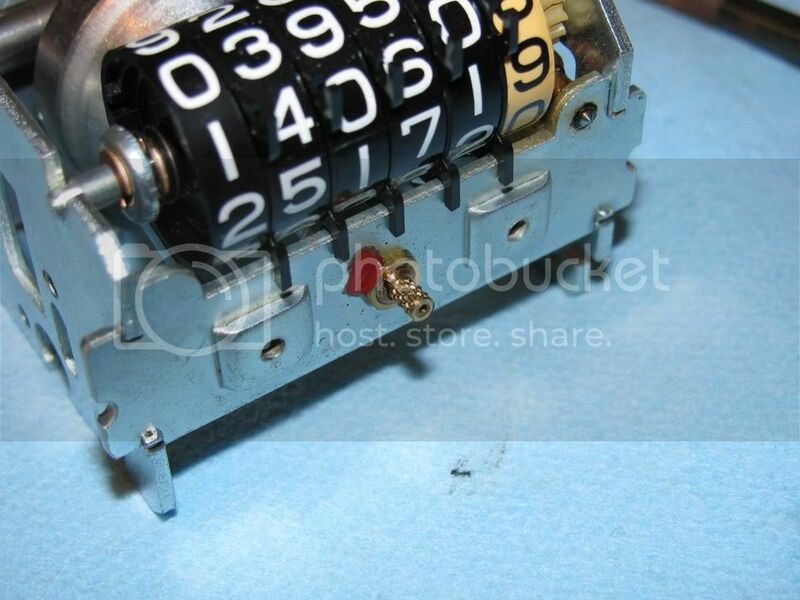 It's reverse threaded; you unscrew it by turning it clockwise. An FYI for you -- the knob for the 750J has a teensy-weensy screw deep down inside that holds it on. Consult "gauge cluster breakdown" for details. Thank you guys for the detailed instructions. I will be trying this on my 82 xj650 before I just go waste money on a used cluster. Taking the needle off is alluded to...is it necessary or desirable, and if so, how do you do it? Also, I can't quite tell, is the odometer independent of the speedometer? 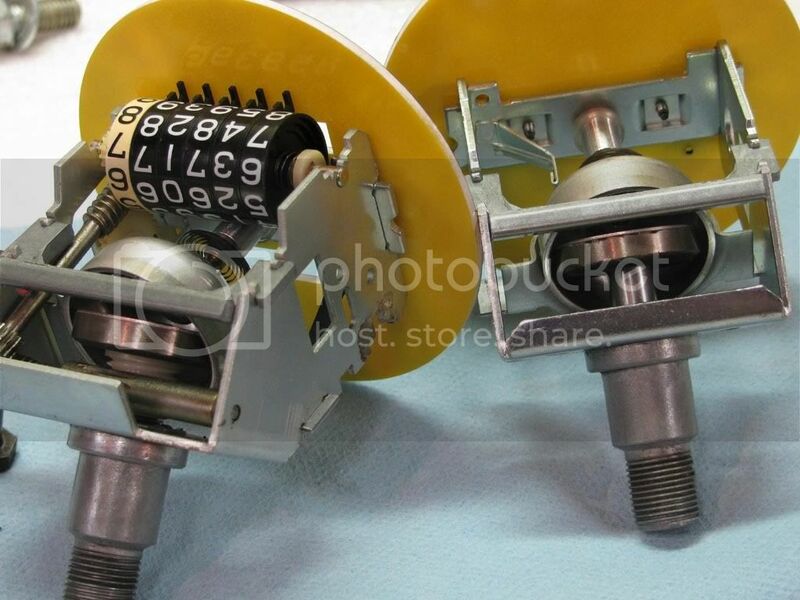 It looks like maybe they are driven by the same cable (of course) but different mechanisms. Fitz, I did a write-up on getting into the xj700/xj700x/xv-style housings awhile back. You may want to add that to you write-ups. If you want it, I'll get a url for you to get right to it. I'd like to see the write ups, my speedo is confirmed 20 mph under at 75mph. 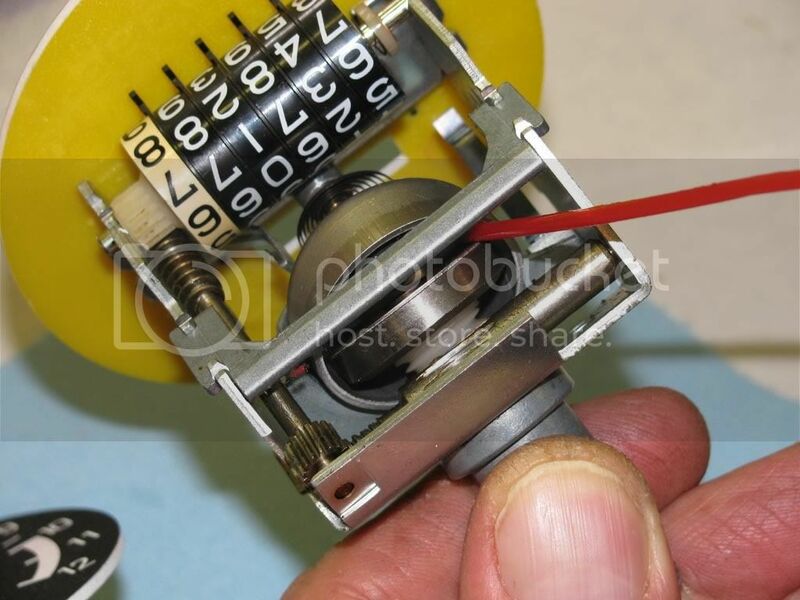 I need to know if I would be best served by removing and reattaching the needle, and am very curious if the odometer is still correct, because it's directly driven and not slipping like the speedometer is. Is this still posted somewhere? The link seems to not work anymore. again, great write up fitz, certainly another to print off and put in my binder!